10 Thoughts in 10 Hours: Tales of Vesperia Definitive Edition - Talk This! 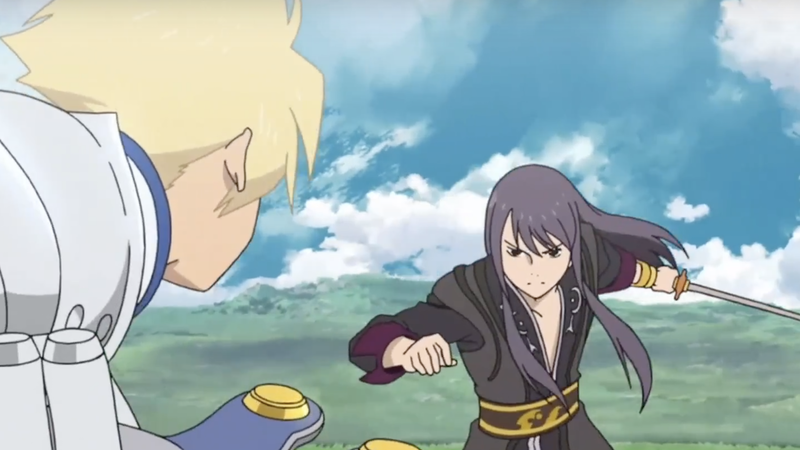 Tales of Vesperia Definitive Edition is like the…third most important game to come out in January of 2019. I didn’t even pick up Resident Evil 2 Remake, but jeez, this first month of the year has been stacked with stuff, hasn’t it? Anyway, before I was totally sucked in to Kingdom Hearts 3, I managed to get some decent playtime in to this old classic! The original Tales of Vesperia only ever came to the Xbox 360 in the West, forgoing the PlayStation 3 version that had extra party members and other content. So, this is the first time the complete game has come to the West. I personally picked it up for the Switch. Ten hours in, I definitely had some thoughts on the game. So, let’s dive in to the adventures of Brave Vesperia! Okay, I think that name is past the ten hour mark but whatever! Tales of Vesperia is old enough that Troy Baker was still doing JRPGs, it’s amazing. The protagonist of Tales of Vesperia is Yuri Lowell, a teenager from the Lower Quarter of the capital of the Empire, Zaphias. One day, the aque blastia that provides fresh water to his part of the city is stolen, and he sets off on a quest to get it back. It just so happens that this quest leads him right into a world-ending plot of sorts. Most Tales games go like this. Somebody’s just trying to do something normal and good and then some evil megalomaniac get into it. Happens to everybody. What’s not in every Tales game is a dog. A dog party member in fact who smokes a pipe and fights with a knife in his mouth. Listen, okay, they may market Yuri as the protagonist of this game, but it’s really Repede who is the star of the show. I understand why this is one of everybody’s favorite Tales- it’s because of the dog. Don’t worry, I understand. I feel like, as opposed to some other talented male voice actors (looks at Yuri Lowenthal meaningfully), Baker isn’t always recognizable. However, he’s certainly and unmistakably Troy Baker as Yuri. Except for the times that he is definitely not Troy Baker because he’s actually Grant George. You may know George from Danganronpa V3 as Shuichi, as I do. So, the Definitive Edition has a ton of extra scenes, skits, and 2 new party members that were previously never brought to the West. In addition to this, they decided to dub all the scenes that were previously silent in the original release. It would be noticeable even without the voice change. Some of the actors understandably seem to be struggling to find their exact voice (Raven, Flynn, and Karol especially) that they used more than ten years ago and the sound mixing is overall much quieter than the original. Everybody’s still doing a good job though, even George who I think is better here than I’ve ever heard him be before. Reporting from beyond the ten-hour mark, I’ve pretty much grown entirely used to it. George and Baker sometimes switch within the same scene and I don’t notice until after the fact. I’m not sure why Bandai Namco didn’t even try calling Troy Baker about the role, but I do imagine he’s much more expensive now. Fun fact, Yuri Lowell was apparently named after Yuri Lowenthal because the creators were such big fans of his after he did voice work in Tales of the Abyss. 3. The Sign of Victory! But I do find it really adorable how much she enjoys the high five after she learned it. There’s a end of battle conversation with several party members where she gives them a high five. Judith just rolls with it, Rita is very confused, Raven just wants a hug. Raven, please. I hope the final battle involves Estelle’s new knowledge of the high five. I would intensely respect this game for that decision. 4. Prepare to Die, Eggbear! Tales of Vesperia completes my trilogy of Tales games I’ve played in one way. Berseria had great combat and a good story, a nice balance if you will. Xillia had a boring story and great combat, very much carried by that. 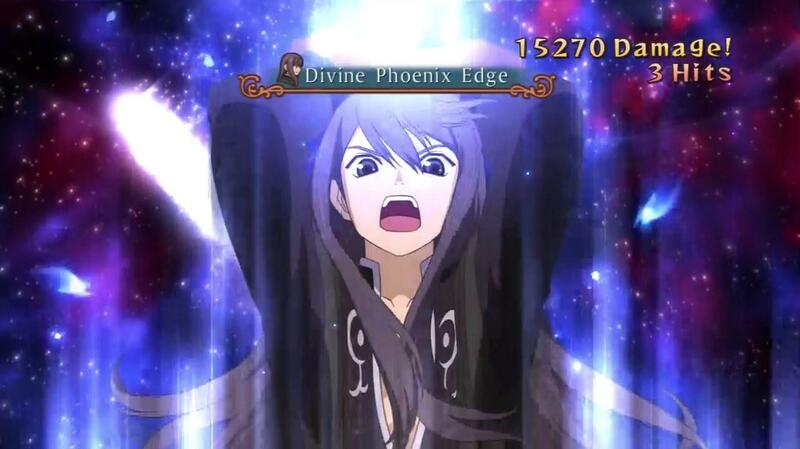 Vesperia, meanwhile, has a great story thus far and really awful combat. Okay, it’s not awful. It’s just markedly worse than the other two because of several frustrating choices. Here’s a couple: it’s really hard to stun an enemy, flying enemies are intensely difficult to hit, when an enemy gets knocked down you have to wait for it to get back up before you can inflict any more damage, and if you get caught not guarding you lose about half your health. There’s a couple of interesting systems that I wish worked better: Over Limit doesn’t feel powerful like I think it should, Final Strikes can be hard to trigger and sometimes miss, the Secret Missions on boss fights are sometimes obtuse despite you really needing to do them in order to beat the boss on anything besides easy…the list goes on. I think some people might prefer the more tactical thinking you need to do for this game, but I wish it was balanced more with some feeling of power. I’ve turned some of the bosses down to easy because they just feel like damage sponges and I don’t have the patience for it. I don’t have a problem, okay? I really don’t. After experimenting with costumes for a bit, I decided to go for themes as much as I could. Rita, having next to zero good costumes, makes this difficult. However, so far, I’ve managed high school AU, festival wear, serious army, circus troupe, and now black&yellow. No spaces, that’s on purpose. It’s actually more black&yellow&purple, but I tried my best. Dressing up your characters is like, objectively, the best part of every Tales game. While I appreciate that the Definitive Edition came with all these ready-made costumes, I do wish there was more variety in attachments. I had accessories galore in Tales of Berseria, I miss them very much. I cannot with this ring. Thank god later games changed the Advantage Encounter to just be running into an enemy with their back turned because this ring does not work. I like the idea of it? The ring works for puzzles as well as serving as a way to preemptively hit an enemy, stunning them at the beginning of the fight. It’s just that it’s so hard to aim correctly, and the dinky little pew sound effect it makes doesn’t add to its appeal whatsoever. I also hate that it only sometimes stuns the enemy, otherwise freezing them or making them mad. I JUST WANT IT TO DO WHAT I WANT DANGIT. Whatever, it’s not like stunning them really gives you much of an advantage. I’ve experimented with every party member besides Patty so far (because her mechanics are terrifying, you can tell she’s an added party member because she’s so all over the place- that’s beyond the ten hour mark though). Judith is probably the most frustrating to use (it might be just because I’ve only just recruited her), but Yuri’s just…meh. He’s nice in a pinch, particularly since I can switch characters during the battle now. Everybody else is just more interesting and can do more things. I think my favorite to play at the moment is Flynn though. I’ve been using Estelle for boss fights previously because it’s so nice to play the healer when straight combat is kind of tedious. But Flynn’s just a better version of her because he can both deal and take some damage while serving as healer. His Cure altered art is also so intensely helpful. When I need something quick, First Aid. When I need something big, Cure. Estelle has a healing arte for everyone, but it takes too long to ever actually be useful. You can tell Flynn is an added character too, because he’s honestly kind of OP. He just left my party and changed out of his student council president uniform and I’m so mad. Okay, I’m just saying. Here’s a real conversation between Yuri and Flynn. Flynn: You never could sit still, could you? Yuri: Stop treating me like a little kid! Yuri: I haven’t done anything reckless since the day I was born! I’m just chasing after a blastia thief! Yuri: You’re the one who should ease up on trying to do the impossible, Flynn. …No? Just me? Really, just me? Okay, trust me, later on from ten hours it gets even more ex-boyfriend-y, I’m telling you. On a more positive note, Rita is definitely in love with Estelle and I super ship it. I hope they live happily ever after. I’m sure nothing bad will happen to either of them, because it’s not like it’s tradition for somebody to die in a Tales game after all. Okay, like, I understand why everybody’s always asking each other what their plans are. They aren’t really a tied-together group in any sense, their goals just often happen to overlap. But it gets intensely tiresome when all the characters re-go over their plans after every major event. The other two Tales games that I’ve finished (Xilia and Berseria) either just had party members leave when they wanted to leave or made it clear why they were sticking together and didn’t address it every twenty minutes. Berseria for instance: Rokurou sticks with Velvet because he feels like he owes her a debt. She sometimes asks how long it’s gonna take him to pay it back, but that’s relegated to skits. Magilou comes and goes as she pleases and everyone just accepts it. Et cetera, et cetera. I wish they’d gotten to the whole guild thing earlier and just made that the reason they stick together. Estelle could still hem and haw but at least it wouldn’t be everybody every time. Okay, so the murder thing is actually a lot more interesting ground than I expect from Tales games. Yuri does believe that the system needs to change from the inside. He even trusts that Flynn and Estelle can do it eventually. It’s just that he’s not patient enough for that. He’s not able to sit by and wait for things to get better when people are suffering now. And so, when the law fails, he takes the matter into his own hand and gets rid of the problem in a permanent way. It’s a complicated issue. If someone is clearly evil, clearly exploiting his people, clearly making things worse every day that he’s in power, and the law in its current state cannot do anything about that…do you just wait around until you can do things the “right” way? Or do you make things right the “wrong” way? I’m worried this theme is going to get buried under the inevitable end of the world saving stuff (update from further on: it, uh, kind of has. I think they could bring it back though), but it’s definitely an interesting route. I think I can see how Berseria took influence from this game in terms of its storytelling as opposed to some of the others. Anyway, Tales of Vesperia Definitive Edition comes with a high recommendation from me. From further on in the game, my likes and dislikes mentioned here have remained consistent. The problems don’t get better, but the good parts don’t get worse either. It’s a solid JRPG like most Tales games- nothing revolutionary, but not 100% forgettable either. Don’t forget to check out our main podcast where we talk about games like this every week! If you’d like thoughts on more games, check out the Game Thoughts tag.